Since 2011 with the launch of the LEGO Ninjago original theme and cartoon series, we had seen astounding growth of LEGO Ninjago fan base. 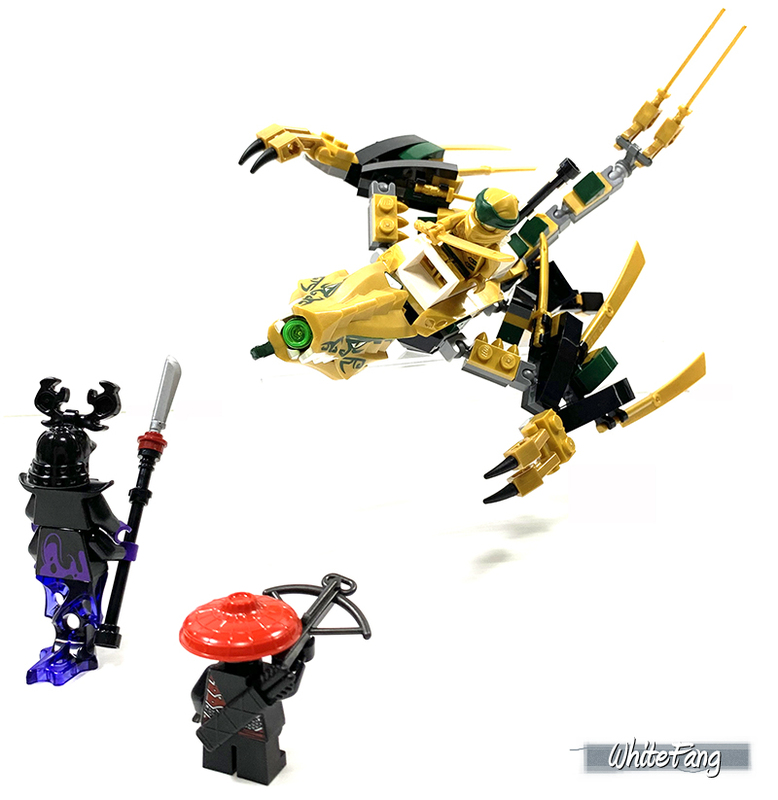 The humble sets' beginning had already begun to be part of a growing list of Classic LEGO Ninjago sets. 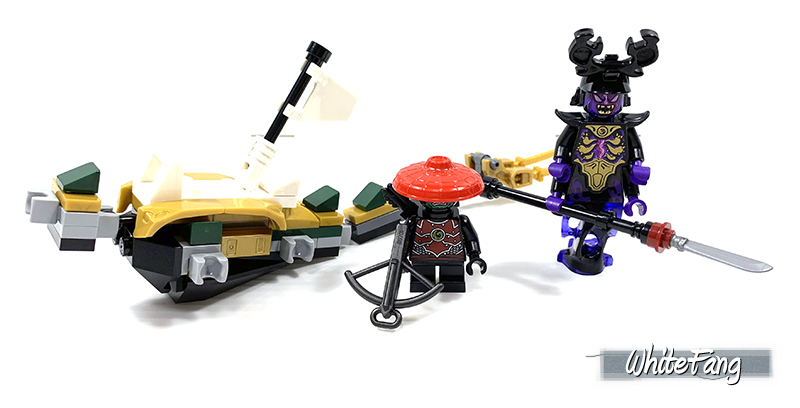 TLG had decided to revisit past significant playsets and re-designed these existing sets under Ninjago Legacy flagship from the past seasons. 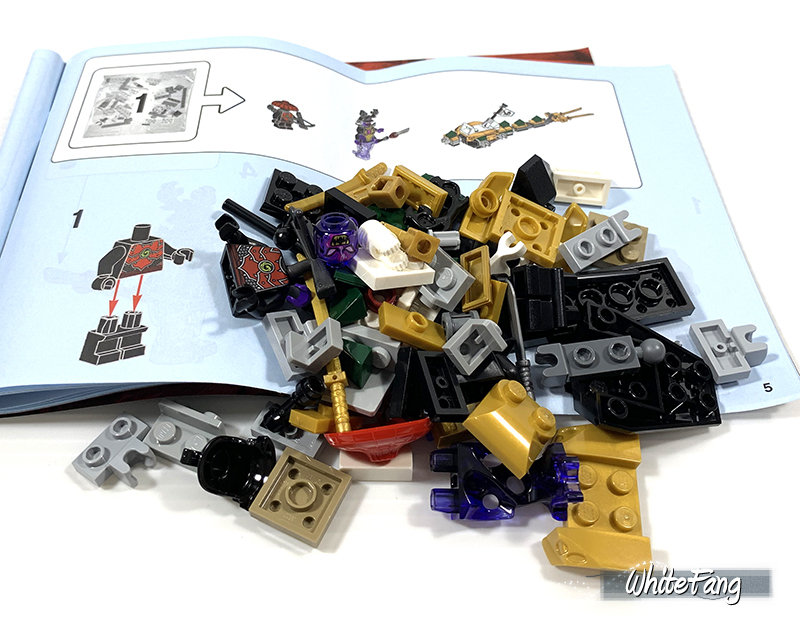 Without further ado, allow me to bring you my first LEGO Ninjago Legacy purchase in this review. 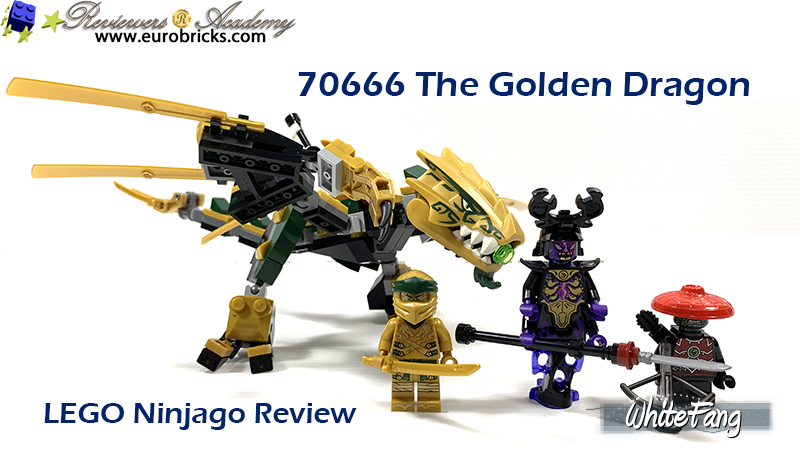 This Golden Dragon set is a re-designed set from the 2013 LEGO 70503 The Golden Dragon. The former design was a much bigger dragon than this latest design. 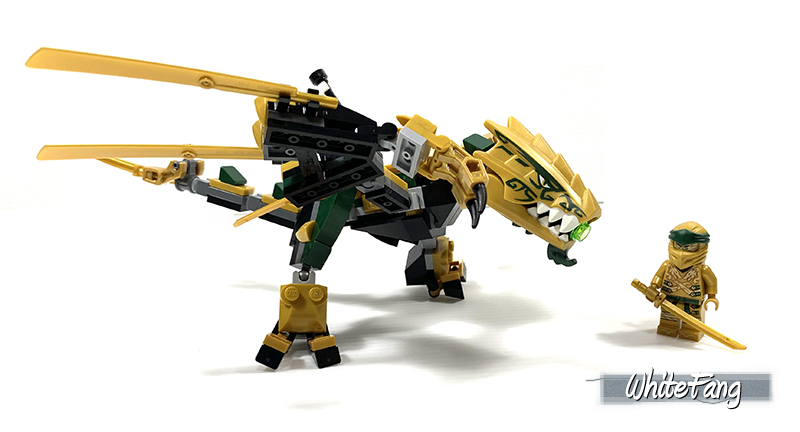 If you want to compare further, there's actually an even smaller Golden Dragon from the LEGO Dimension Fun Pack. The current design is much compact including the box size. The pieces count are slightly lesser from 252 to 171 pieces and yet remain the same minifigures' count as before. The resulting consequence for this redesign allow a drop of pricing of at least USD$10 (on average). With so much new changes being introduced, we shall see if this set hold the same mark as its predecessor. The sealed box come with three mint packs and two of which are numbered. The box contain an instruction manual and a dreaded sticker sheet which I did not apply for this set. After completing the built, these are the remaining spare parts for packet 1 and packet 2. In the above minifigures assortment, we have (from left) Golden Ninja Lloyd, Overlord and Stone Army Scout. 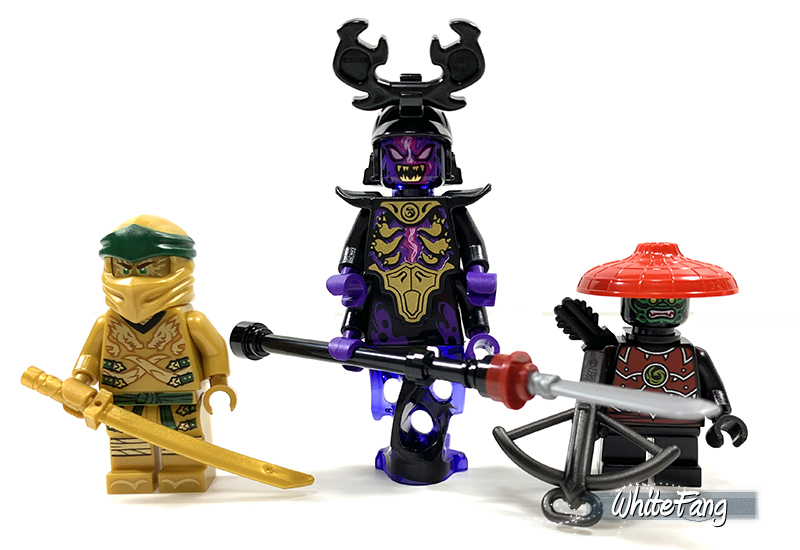 All of these minifigures were updated with improved torso, facial expressions and slight update on accessories for these existing LEGO Ninjago characters. 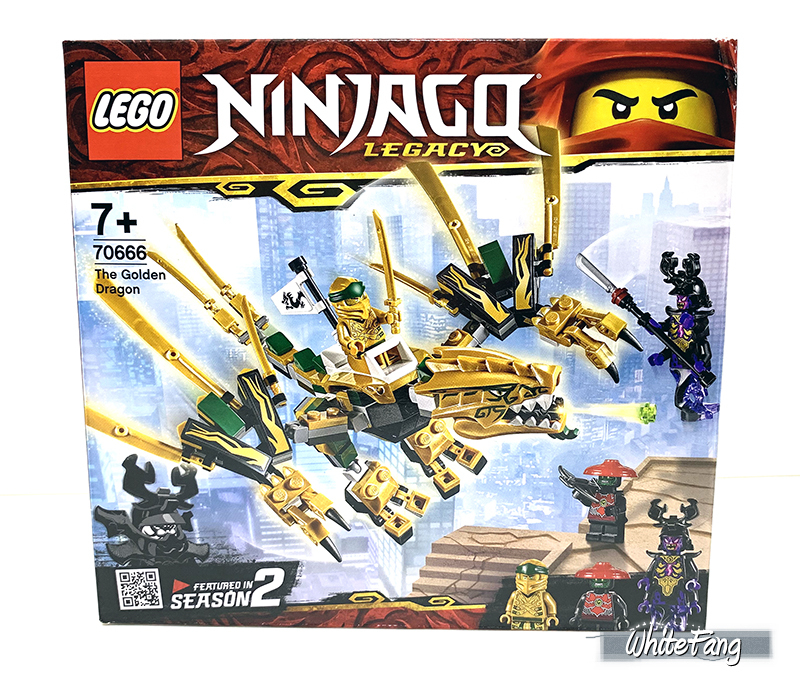 As most of you could be familiar with Lloyd and also becoming a Golden Ninja in Season 2. He is one of the main characters in the Ninjago Universe and most of his appearances revolve around being the Green Ninja. You can see the differences on Golden Ninja Lloyd with its earlier design. The next amazing character is Overlord which is a huge improvement design from its predecessor that used the skirt piece. I definitely like the new ghastly purple ghost leg piece. The torso design also include an updated piece of his forearms and backarms. His weapon had also been updated to represent something like naginata. The Stone Army Scout had also undergo some improvement changes on the facial expression. 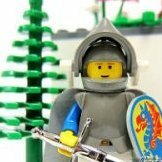 The overall uniform is almost similar and it can create some slight variation between the previous Stone Army soldiers. All of the minifigures contain back printing. Only Golden Ninja Lloyd minifigure contains alternate facial expression. The completed Golden Dragon is a middle size scale, measuring at 24cm length, 26cm wide and 6cm height. It made use of the Mixel ball joint to create good movement articulation on the legs and wings. 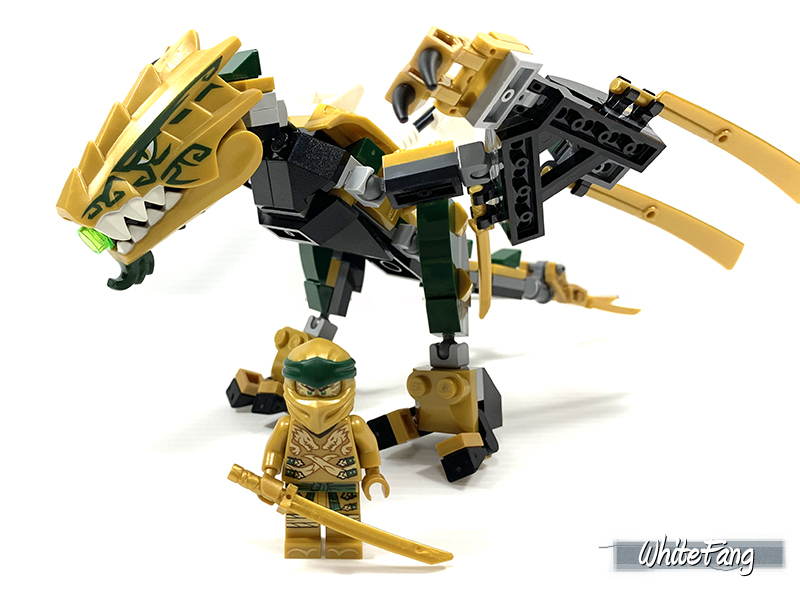 The Golden Dragon is much smaller than the first Golden Dragon design and yet the size of it remain closely to scale with the minifigure sizing without making it too overbearing. The design seems a little firmsy and I am not exactly sure if is not grounded enough to make it stand on its own without falling down. Unfortunately, I also don't have a chance to open it yet to make a direct comparison by placing it side-by-side. 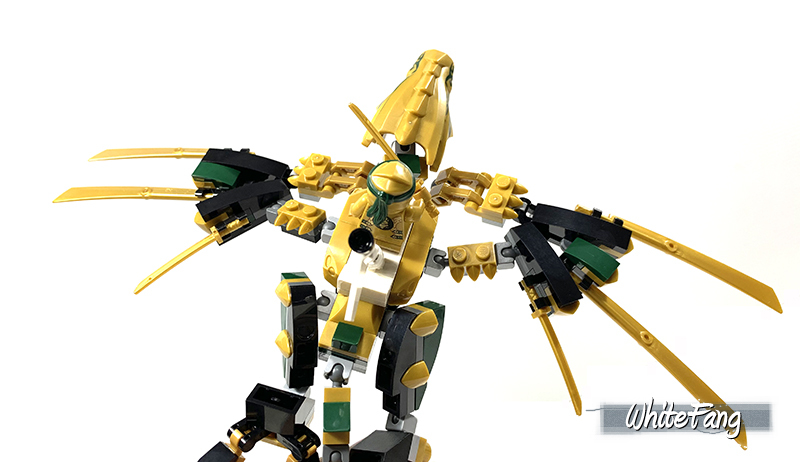 The wings, tail and legs can be moved to pose different position with the minifigure placed safely in the saddle near the flag. One of the fun playing action include the stud shooter placed within the dragon mouth. You can enjoy viewing more of the up close viewing angles from the front view, side view and back view. To conclude, I enjoyed this set very much. 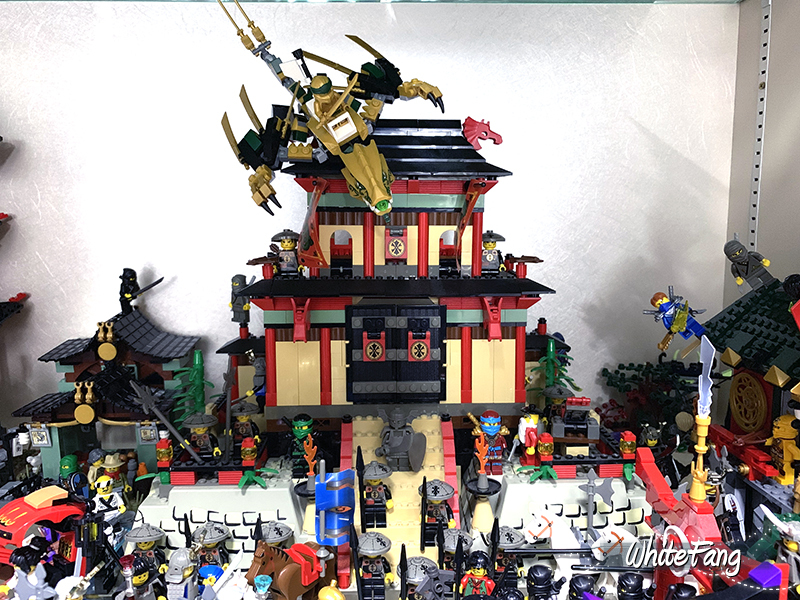 The Golden Dragon design is compact and lovely for me to place above the Oriental Temple like above without falling apart. If is too big, it will probably not able to take the weigh at the rooftop. The minifigures are excellent and that's one of the main reason why I choose to get this set without hesitation. 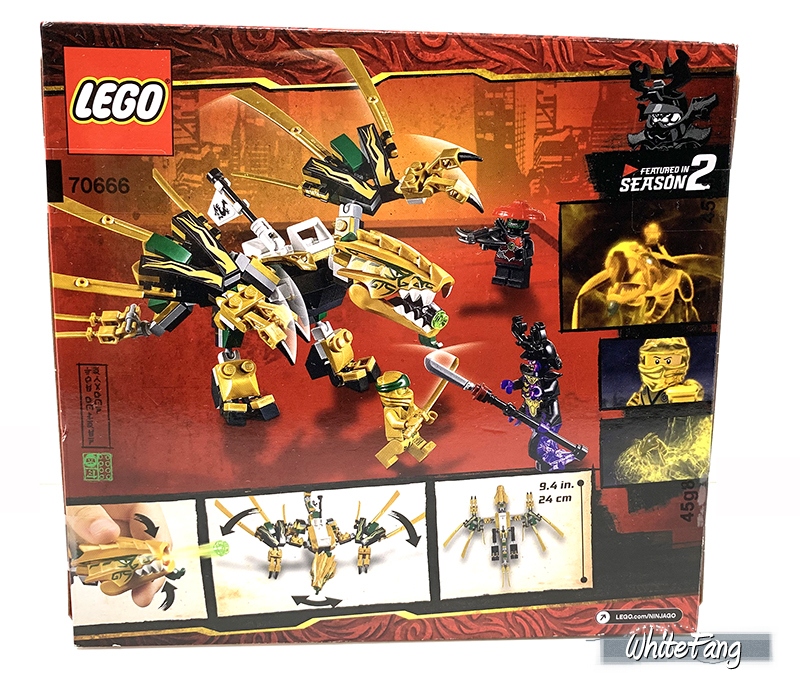 This set will probably attract fans who are into Ninjago and also at the same time miss the chance to own the Golden Dragon in your collection. I am glad the re-design is not exactly the same as the former but an attempt to take it better after 6 years apart. 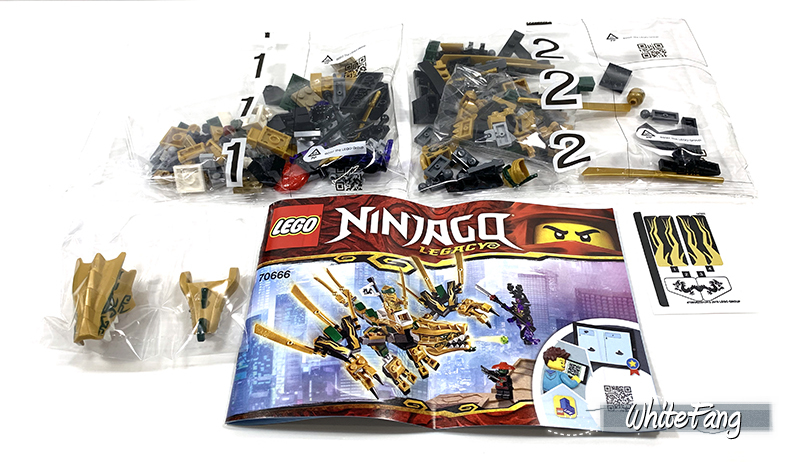 Overall, I think this is an outstanding and affordable playset to have a positive sampling flavour with LEGO Ninjago classic series. Great review. I'd love to see this kind of design used for a Hungarian Horntail in the wizarding world theme... we will have to see what happens. 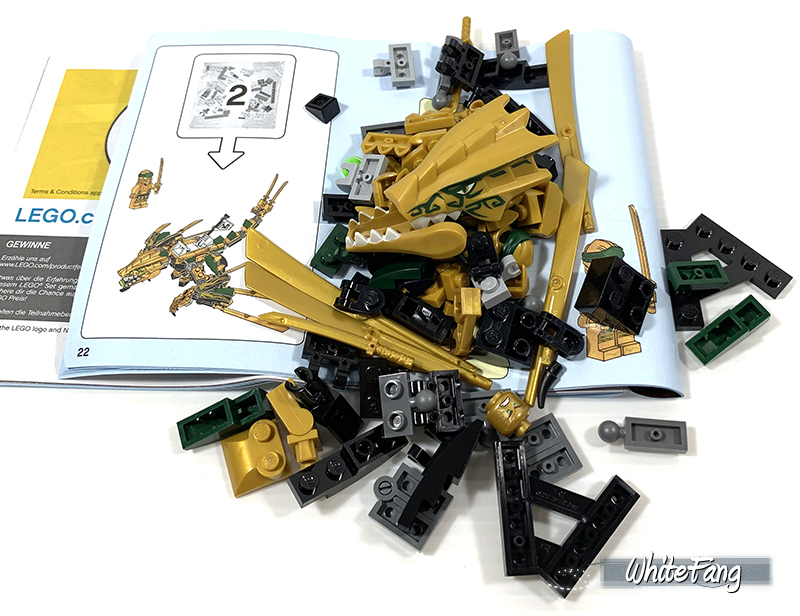 Darn it, this set was going to be a pass for me until I read your review, thanks a lot. I don't really care for the dragon but what the hey, I have the green one and the red one which I feel is magnificent, so now one more. I would like to get the blue one as well, I feel however I really need those minifigures, especially the golden ninja and of course I could always use more stone soldiers.